"How I warned and warned that satan would enter into the highest realms of the hierarchy in Rome. The Third Secret, My child, is that satan would enter into My Son's Church." From 1958 until 1964, Jesuit priest Malachi Martin served in Rome where he was a close associate of, and carried out many sensitive missions for the renowned Jesuit Cardinal Augustin Bea and the pope. Released afterwards from his vows of poverty and obedience at his own request (but still a priest), he ultimately moved to New York and became a best-selling writer of fiction and non-fiction. "Most frighteningly for [Pope] John Paul [II], he had come up against the irremovable presence of a malign strength in his own Vatican and in certain bishops’ chanceries. It was what knowledgeable Churchmen called the ‘superforce.’ Rumors, always difficult to verify, tied its installation to the beginning of Pope Paul VI’s reign in 1963. Indeed Paul had alluded somberly to ‘the smoke of Satan which has entered the Sanctuary’... an oblique reference to an enthronement ceremony by Satanists in the Vatican. Besides, the incidence of Satanic pedophilia —rites and practices— was already documented among certain bishops and priests as widely dispersed as Turin, in Italy, and South Carolina, in the United States. The cultic acts of Satanic pedophilia are considered by professionals to be the culmination of the Fallen Archangel’s rites." These allegations have largely gone unnoticed, possibly because he was so crafty in his descriptions that he might even have been referring to the coronation of Pope Paul VI. But he revealed much more about this alleged ritual in one of his last works, Windswept House: A Vatican Novel (1996). In this story, he vividly described a ceremony called “The Enthronement of the Fallen Archangel Lucifer” supposedly held in St. Paul’s Chapel in the Vatican, but linked with concurrent satanic rites here in the U.S., on June 29, 1963, barely a week after the election of Paul VI. In the novel, before he dies, a pope leaves a secret account of the situation on his desk for the next occupant of the throne of Peter, a thinly-disguised John Paul II. According to The New American, Martin confirmed that the ceremony did indeed occur as he had described. "You know Malachi confirmed—the first part of his book, Windswept House—he confirmed the dedication of the Vatican to satan in a secret ceremony that occurred unknown even to the Pope at that time, that he managed to pick up. And I did ask him, 'Was this true? Did it happen?' And he [Fr. Martin] said, 'yes, it did.'" Fr. Malachi Martin said more members of the clergy are becoming aware of the situation. An archbishop several years ago also accused high members of the hierarchy in Rome of practicing satanism. The Italian newspaper Il Tempo and other major daily papers reported this stunning news (below Italian newspaper articles). In recent weeks, a firestorm has been raging in Italy. The controversy is revolving around the statements made by Archbishop Emmanuel Milingo, who made formal allegations that satanic activity is taking place inside the Vatican. When questioned by the Italian press about the allegations, he said that he stood by them. 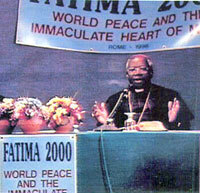 The Archbishop chose the Fatima 2000 International Congress on World Peace held in Rome in November 1996 hosted by The Fatima Crusader magazine as a platform to first make these allegations public. The Fatima 2000 Congress was sponsored by publisher Father Nicholas Gruner, who has spent the past 18 years attempting to persuade the Vatican to consecrate Russia to the Immaculate Heart of Mary as She requested in apparitions to three shepherd children at Fatima, Portugal, in 1917. Father Gruner has also sought disclosure of the Third Secret, which has been kept under lock and key in the Vatican since it was delivered there in 1957 and read by Pope John XXIII in private. Archbishop Milingo, who works inside the Vatican, as the Special Delegate to The Pontifical Council for the Pastoral Care of Immigrants and Itinerants, is uniquely qualified to speak on the issue of satanism. Besides his responsibilities in the Vatican, the Archbishop is a world renowned veteran exorcist. These allegations by Milingo are particularly interesting to informed Catholics because the statements that the Archbishop is making are very similar to the recent book written by the well respected Catholic writer, Dr. Malachi Martin. Dr. Martin's new book, Windswept House, which was published in 1996, was written as fiction, but well known author, editor Father Charles Fiore, FSSP, claims in his review of the book, which was printed in the Catholic Family News, July 1996, that it is "a novel in which actual persons and events are disguised as fiction." Dr. Martin's book is shocking because in it he describes a satanic ritual which took place at Saint Paul's Chapel inside Vatican City, on June 29, 1963. Windswept House gives a scary depiction of high ranking Churchmen taking oaths signed with their own blood, who plot to destroy the Church from within and participate in meticulously enacted rituals that blaspheme and devilishly mimic the Holy Sacrifice of the Mass. "Archbishop Milingo is a good Bishop and his contention that there are satanists in Rome is completely correct. Anybody who is acquainted with the state of affairs in the Vatican in the last 35 years is well aware that the prince of darkness has had and still has his surrogates in the court of St. Peter in Rome." "Father Gruner is fulfilling a desperately needed function in the ongoing perception of Mary s role in the salvation of our imperiled world. Father Gruner is absolutely correct that the Consecration of Russia as Our Lady desired, has not been executed. It may not be too late if Father Gruner's plea is heeded in time." In conclusion, it is an obvious reality that satanism is now, and has been existing inside the Vatican itself. Through the reputable testimony of Archbishop Milingo and Dr. Malachi Martin, this deeply buried Vatican secret is now surfacing. Windswept House is a sweeping novel, set on the grand global stage and the unfolding of the next stage of civilization, the ominously-named New World Order. It tackles head-on a number of heavy issues from abortion to the Third Secret of Fatima, but the essential message seems to be this: Satanists lurk in the shadows, from the heart of the Vatican down to the local parishes, manipulating those duped by the false spirit of Vatican II. They are doing their damnedest to subvert the Roman Catholic Church. In Windswept House, Martin was quite explicit about the conditions in the Vatican, opening the novel with the above-mentioned satanic ritual. In it, Satan was formally enthroned in the Vatican in the Chapel of St. Paul (by all reports a dark and appropriately spooky place). The ceremony was coordinated via telephone with another simultaneous rite in South Carolina. But these are minor quibbles. Like The Keys of This Blood, Windswept House is written for a wide and not necessarily Catholic audience, but both books give an odd feeling of being intended for John Paul II himself. Windswept House, however, is a much more dramatic and desperate plea to the Pope. "Suddenly it became unarguable that now during this papacy, the Roman Catholic organization carried a permanent presence of clerics who worshipped Satan and liked it; of bishops and priests who sodomized boys and each other; of nuns who performed the “Black Rites” of Wicca, and who lived in lesbian relationships... every day, including Sundays and Holy Days, acts of heresy and blasphemy and outrage and indifference were committed and permitted at holy Altars by men who had been called to be priests. Sacrilegious actions and rites were not only performed on Christ’s Altars, but had the connivance or at least the tacit permission of certain Cardinals, archbishops, and bishops... In total number they were a minority—anything from one to ten percent of Church personnel. The facts that brought the Pope to a new level of suffering were mainly two: The systematic organizational links—the network, in other words that had been established between certain clerical homosexual groups and Satanist covens. And the inordinate power and influence of that network." At the time of his passing on July 27, 1999, Martin was at work on what he said would be his most controversial and important book. Primacy: How the Institutional Roman Catholic Church became a Creature of The New World Order was to deal with power and the papacy. This work was to analyze the revolutionary shift that lies at the heart of what many see as the breakdown of papal power. It was to be a book of predictions about the Vatican and the world in the first decades of the new millennium. Fr. 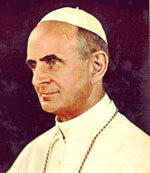 Malachi Martin never recanted any of his claims that the scene in Windswept House was based on an actual satanic ritual in the Vatican in the first days of the reign of Pope Paul VI (image left), nor that there exists a general satanic conspiracy within the Roman Catholic Church. 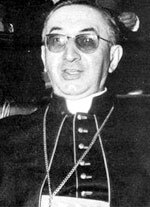 The Blessed Virgin Mary's apparitions in Bayside, New York stating that satan has entered into "the highest realms of the hierarchy in Rome” would also explain some very dark secrets surrounding the death of Pope John Paul I (image right), who mysteriously died of a “heart attack” slightly over a month after election. “We will go back, My child, in history, a short history, and remember well what had happened in Rome to John, Pope John, whose reign lasted 33 days. O My child, it is history now, but it is placed in the book that lists the disasters in mankind. Sound incredible? Please note that a 1975 ruling from the Vatican ordered that no autopsy could be performed on a Pope. How convenient. What does the Vatican have to fear from an autopsy? Not just Our Lady's message points to foul play. 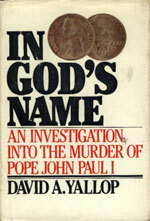 There is a best-selling book by David Yallop that also alleges that Pope John Paul I was murdered: In God’s Name: An Investigation into the Murder of Pope John Paul I. The spiritual leader of nearly one-fifth of the world's population wields immense power: but any uninformed observer of Albino Luciani at the beginning of his reign as Pope John Paul I would have found it difficult to believe that this man truly embodied such power. The diffidence and humility emanating from this small, quiet, 65-year-old Italian had led many to conclude that this Papacy would not be particularly noteworthy. The well-informed, however, knew differently: Albino Luciani had embarked on a revolution. It was by any standards a dramatic reshuffle. It would set the Church in new directions; directions which Villot, and the others on the list who were about to be replaced, considered highly dangerous. When these changes were announced there would be millions of words written and uttered by the world's media, analyzing, dissecting, prophesying, explaining. The real explanation, however, would not be discussed, would not be given a public airing- there was one common denominator, one fact that linked each of the men about to be replaced. Villot was aware of it. More important, so was the Pope. It had been one of the factors that had caused him to act: to strip these men of real power and put them into relatively harmless positions. It was Freemasonry. The evidence the Pope had acquired indicated that within the Vatican City State there were over 100 Masons, ranging from Cardinals to priests. This despite the fact that Canon Law stated that to be a Freemason ensured automatic ex-communication. Luciani was further preoccupied with an illegal masonic lodge which had penetrated far beyond Italy in its search for wealth and power. It called itself P2. The fact that it had penetrated the Vatican walls and formed links with priests, bishops and even Cardinals made P2 anathema to Albino Luciani. Over at least three of these men lurked the shadow of another, Licio Gelli. Men called him 'Il Burattinaio'- the Puppet Master. The puppets were many and were placed in numerous countries. He controlled P2 and through it he controlled Italy. In Buenos Aires, the city where he discussed the problem of the new Pope with Calvi, the Puppet Master had organized the triumphant return to power of General Peron - a fact that Peron subsequently acknowledged by kneeling at Gelli's feet. If Marcinkus, Sindona or Calvi were threatened by the various courses of action planned by Albino Luciani, it was in Licio Gelli's direct interests that the threat should be removed. 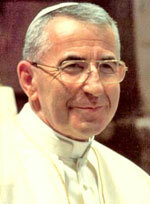 ...had much to fear if the Papacy of John Paul I continued. 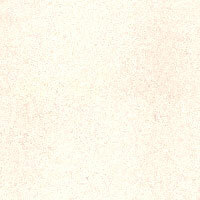 It is equally clear that all of them stood to gain in a variety of ways if Pope John Paul I should suddenly die. This is just one more symptom of what the real Third Secret is all about. "But, My children, as I said in the past, I repeat again, that satan and his agents, the band of 666, has entered into the highest places of the hierarchy; and therefore he has captured some of Our formerly noble hierarchy to do his bidding."